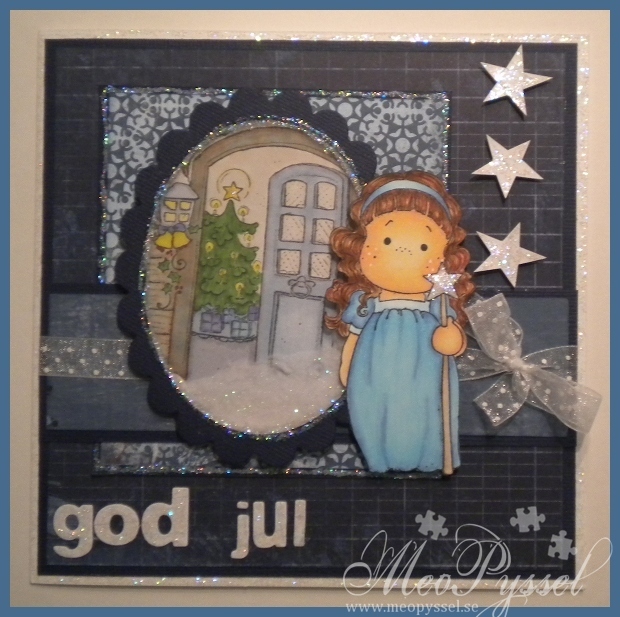 So i found myself with more time so i did yet another card, this time not meant for a kid, but everything works. I wanted to try the technique were you stamp the image twice, cut out one and put it over the first for a more dimensional look. 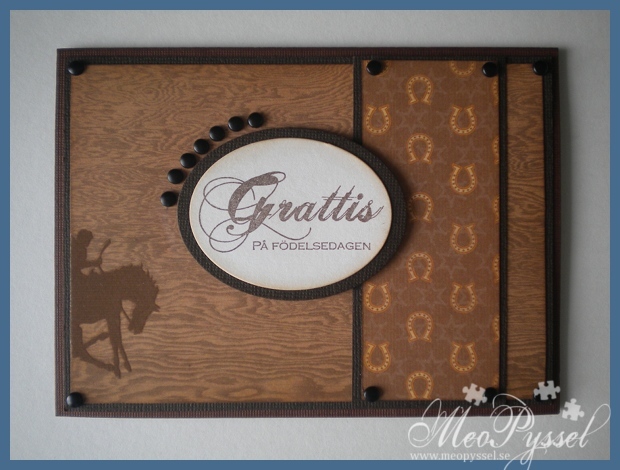 The main image here is made by three different stamps (see the details on the first picture to the right). 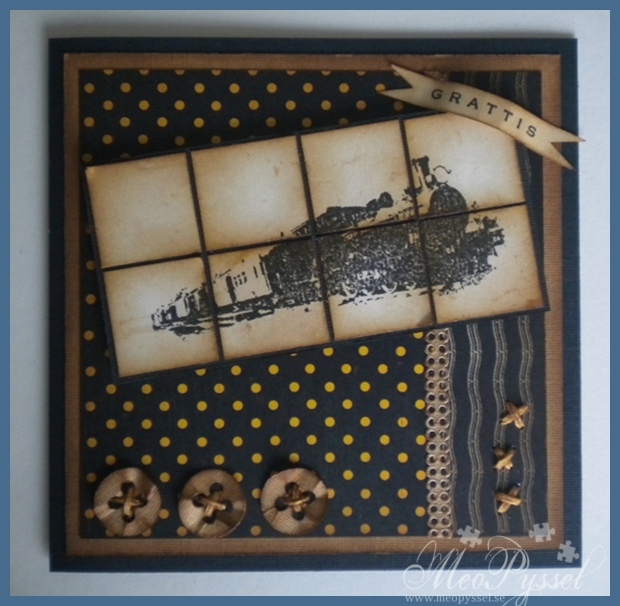 The scripted background is from Gina K.’s Timeless textures, the sentiment is from Vilda Stamps and the butterfly that is Inkido’s small summer butterfly. 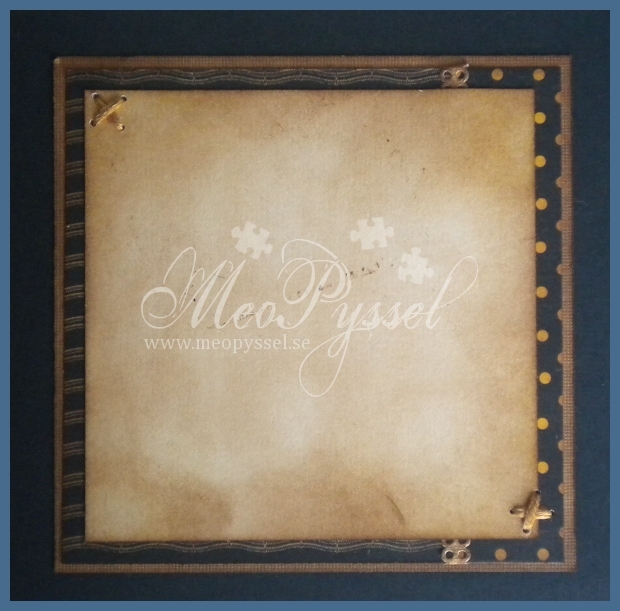 The Script has been stamped with Antique Linen distress ink and the butterflies with memento black. The butterfly on the paper was first stamped on another paper so i got a lighter colors as “shadow”, but the cutout one is stamped as normal. 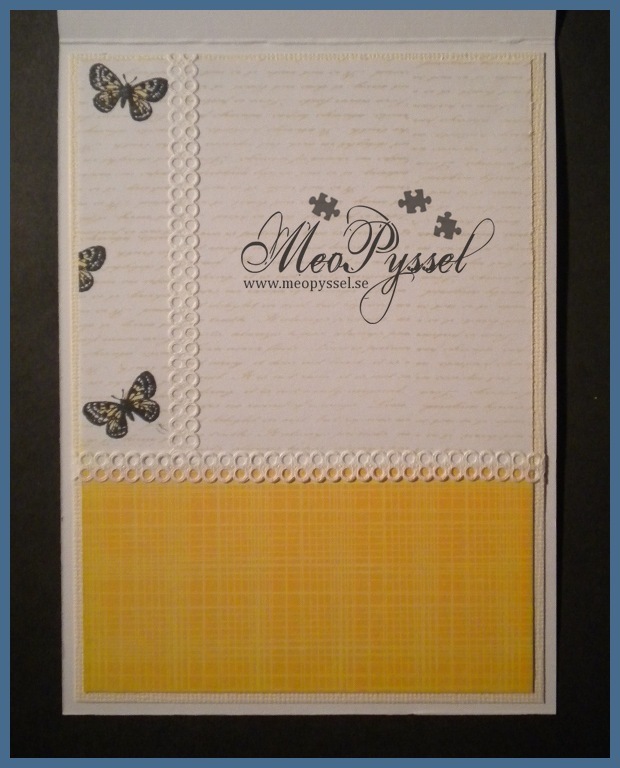 The butterflies have then been colored with Promarkers Gold and Pastel yellow, then blended out to the edges. The butterflies have been put to the paper with half a glue dot, but i think i have to come up with a new way when it was very hard on such a small contact-surface, on the body of the butterflies and the wings have been bent up a bit. 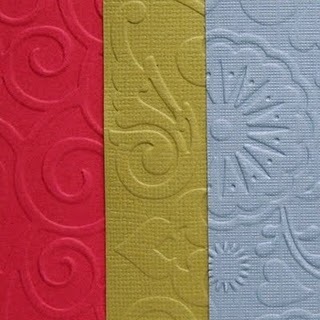 The paper is from Echo Park’s 6×6″ paperpack A Walk in the Park and the lace is a self-adhesive paperlace from Panduro. 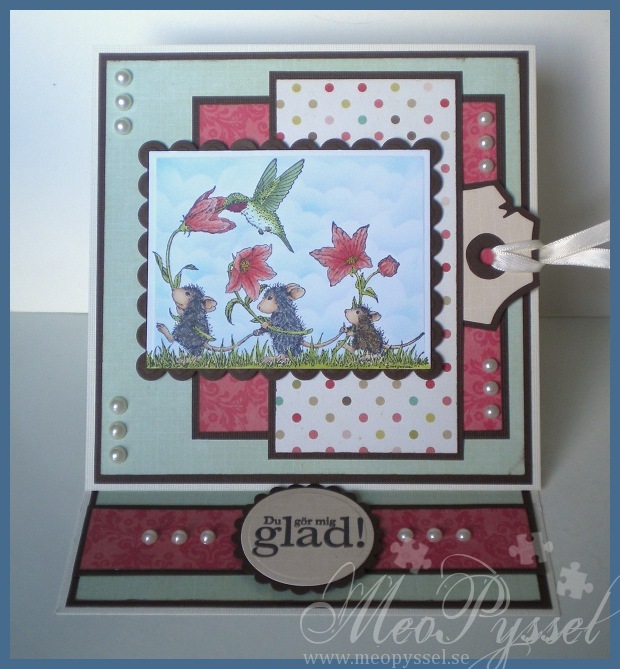 The Flowers are made by EK Success punches flower power and retro flower medium. In the center of every flower there is a pearl, both white and soft yellow. (realized half way through that I’m out of white ones). I tried to keep the inside on the same theme by using the same papers and stamps, the greeting is the only one that ain’t there. On the inside I only stamped the butterflies once, on the paper. 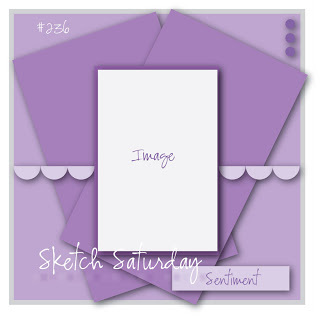 I stamped the scripted background here also when i think that i just gove a softer look and won’t disturb the writing the gifter will put in. 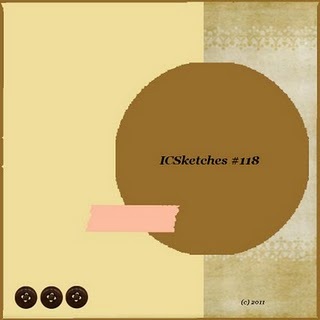 I got inspired but this weeks Mix it up Monday challenge from Gina K: Wear your white. 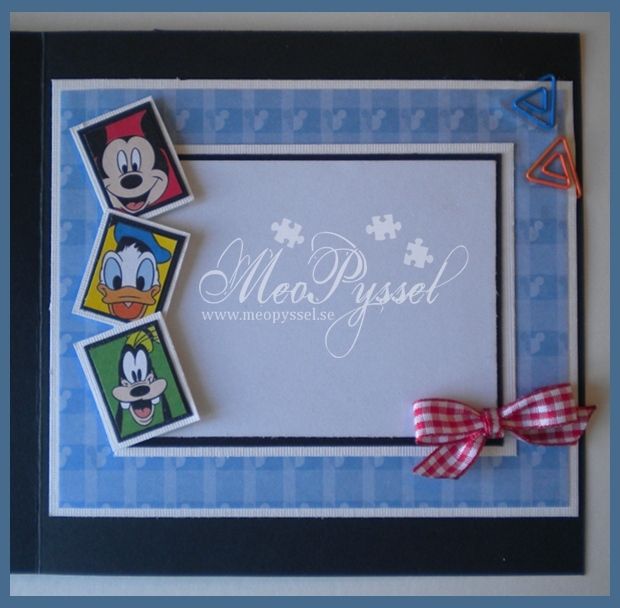 This card is also for a kid as seen, or someone that really likes Disney.I have to apologize for the photos but it was very hard to take a good photo when this card has a lot of dimension and are a but bulky, especially around the paperclips. 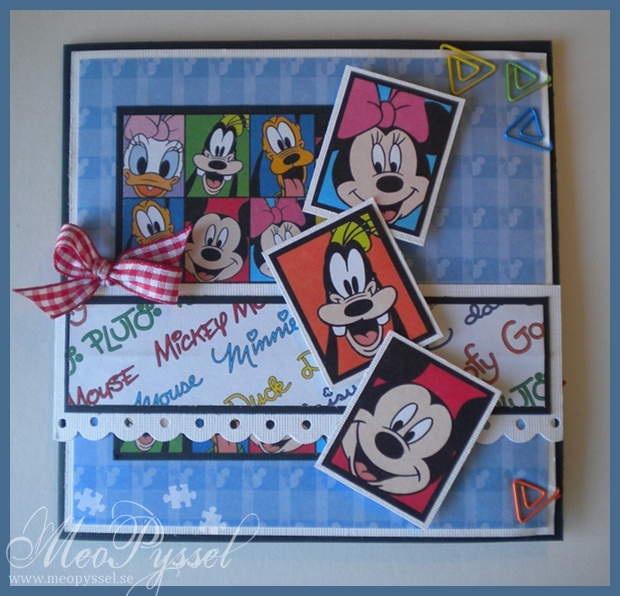 All the papers, including the ones i used as center images, are from a paper pack called Making Disney Scrapbook Pages that i got from Paperwishes, and this paperpack should be an official disneyproduct. When i first got the paperpack i was very disappointed. At the webisode i saw about it the pack looked filled with the Junglebook, little mermaid and so on but it contains more then half of Winnie the Pooh, which i don’t like, and almost only half-pages of the ones i wanted. 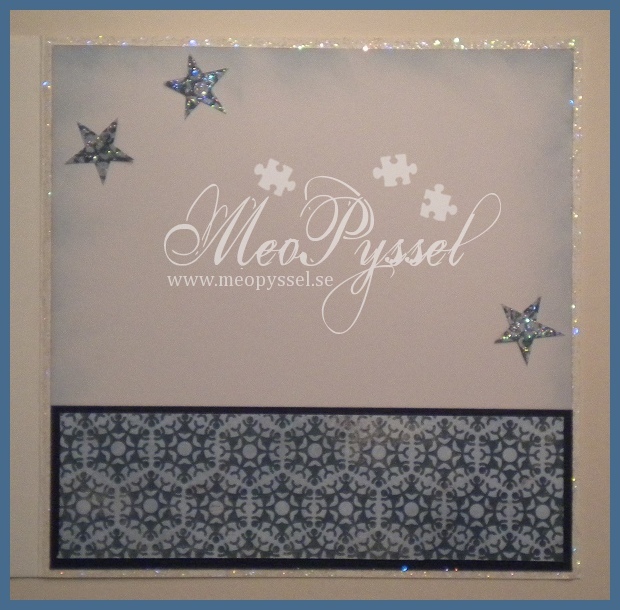 But in this card i think i succeeded to create a nice card with it. 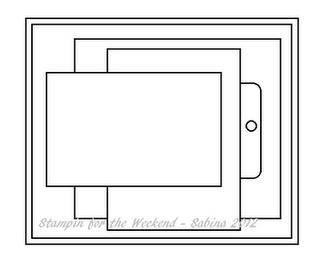 I have framed all papers with black or white or both to get the cartoon-feeling. 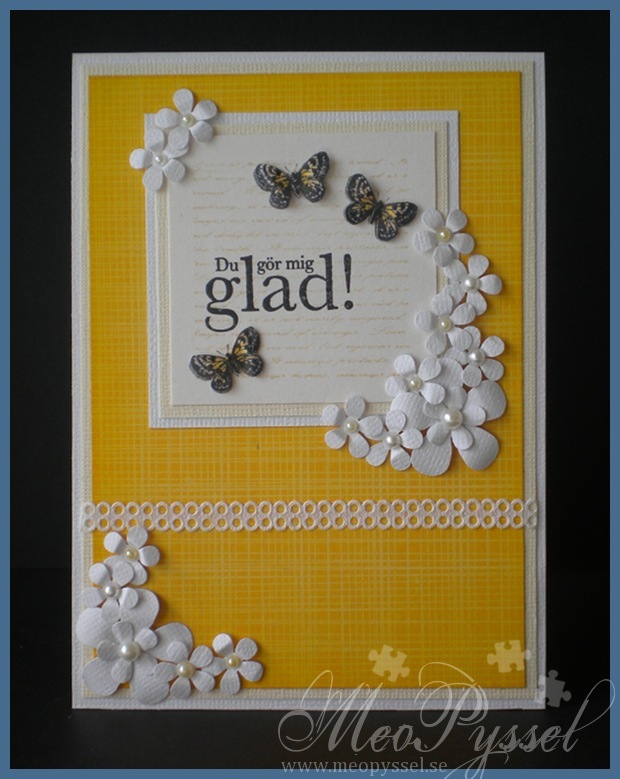 The with border is made by Fiskars Scalloped borderpunch. The bow is made with my handmade bow-easy and the paperclips i think came from a set of embellishments from Paperwishes, but i can’t promise. 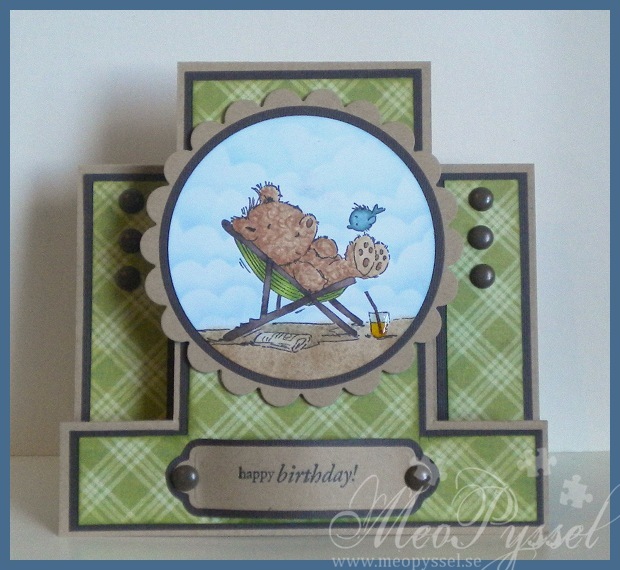 I tried to keep the theme going on the inside, this time i cut the images out from the paper i used as background on the front of the card. Same ribbon and kind of paperclips are used here. 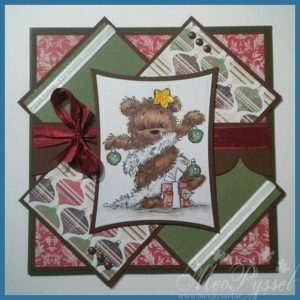 Today i have tried creating more cards for the bow that i will have in my dear mothers workplace in an attempt to sell my cards. When packing the box I have realized that i have few cards that is for younger kids so that have been the goal for today. This cards is meant for a a kid that likes cowboys, perhaps a bit older sense it’s kind of clean-looking without much embellishments. The papers is from DCWV’s All About Boys stack (6″x4″) and the horse you can see to the left is a part of that specific paper and have a glossy shine to it which is badly reflected in this picture. 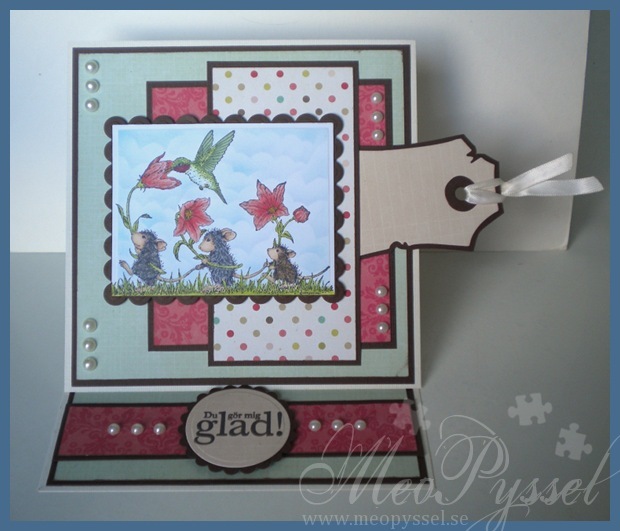 The Sentiment is Reprint’s text set and have been stamped with Versa Colors 171 Pine cone, (The senitiment says “Happy Birthday in swedish”). 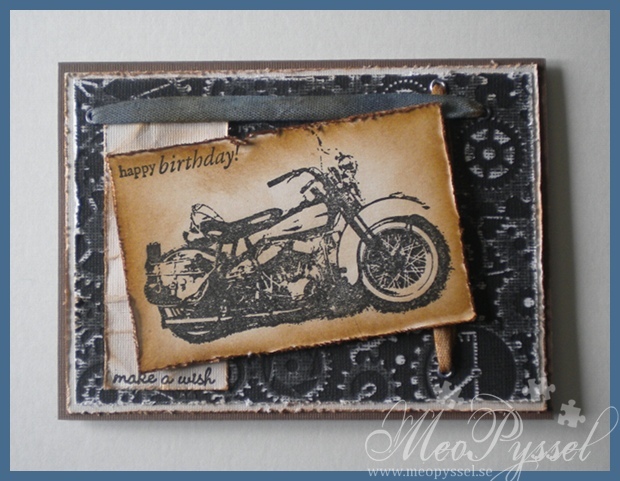 All edges have been lightly distressed with Vintage Photo. 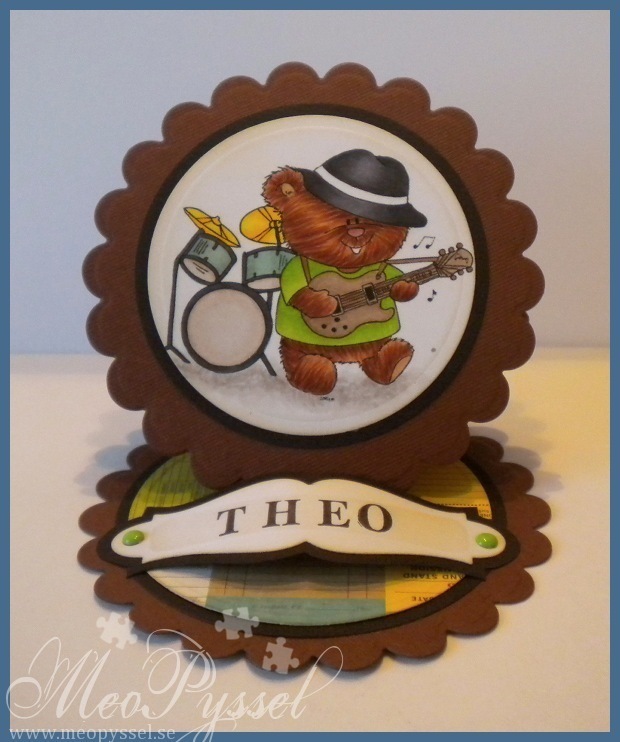 The embellishments that is put on the cards is simple some black brads. 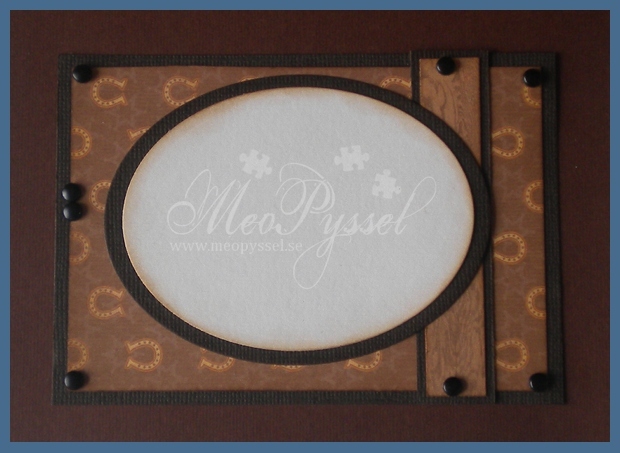 I tried to keep the same layout on the inside but in a smaller scale, with the papers reversed. I didn’t need to take a new sheet by reversing the papers with i thought was nice.